Today, Sunday, May 14 2017 i got an invitation to joining a Makeup Class about how to create a K-Makeup from a beauty and makeup brand from Korea, VOV!! First Of all what i learn about K-Makeup are, the key of getting their look is simplicity, glowing , and light look. Oh how i love it, it means we don't even need a falsies to make a dramatic lashes. Yet, just put your lashes curler and mascara, thats's all! Well, this question was went around my mind before i went to this event. Okay and i asked the beauty guru about that. So Cushion is a new technology, which is founded to answer the needed of a light and not ticky foundation. So between the sponge (special sponge for cushion) and the foundation itself, there is a layer of sponge whichs is full of pores. So if we take the foundation with our application sponge, the pores will filters it. So it's so light and not too much. And i started to try them on, it feels so light. Really light like i almost forget that i've applied them on my skin. And guess what! My skin looks smoother. Omg! VOV Mineral Perfection Metal Cushion is their brand new product. Mineral Cushion? Wow, what is that? 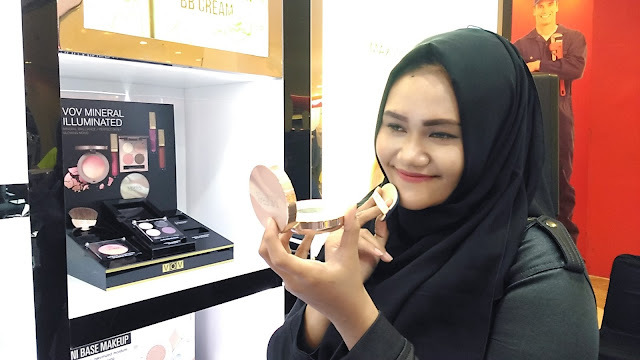 Actually if a makeup product named mineral, it is good for you who have more sensitive skin, or if you are in a skin care period especially with a aestethic doctor. So, mineral cushion is a typically cushion that contained minerals. 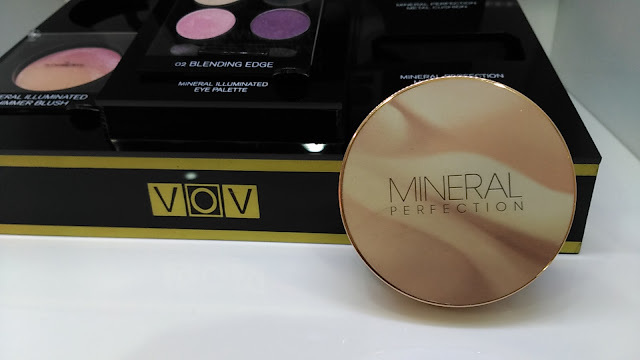 So, when we have to apply this Mineral Cushion Foundation? The answer is right after makeup primer or makeup starter. Why? Okay, to get a complete K-makeup look which is glowing and healthy looks we need to make a perfect complexion above our skin. The makeup primer is a bridge between our skin and the cushion. Therefore it will be look more complex and smooth, without any cakey accident. Just like we wish, looks healthy and glowing. So once again, remember that the key of getting a K-Makeup look is a healthy skin, glowing and light. And it's a wrap. 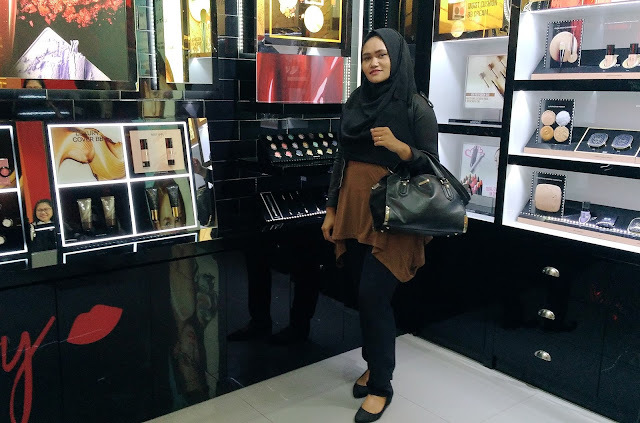 I hope this writing help you to get more insight about makeup and beauty things. If you found this is interesting get to know me via instagram by just klicking here Ayusugeng , you will be more contacted to me and we will share a lot about beauty and makeup.